Leading Manufacturer of jet dyeing machines, soft flow dyeing machines and winch dyeing machine from Surat. 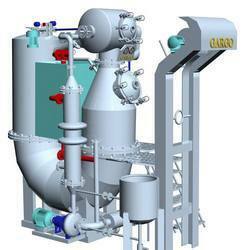 Jet Dyeing Machines / HTHP Jet Dyeing Machines are available from 60 kgs to 400 kgs capacity. With full basket or half basket options. HTHP Jet Dyeing Machines pressure vessel and major wet parts made of stainless steel AISI 316 / 316 L highly corrosion resistance material. Pump & motor of HTHP Jet Dyeing Machines are controlled by AC Inverter drive system for maximum efficiency and less energy consumption. Soft Flow Dyeing Machines / HTHP U-Type soft flow dyeing machines are available from 60 kgs to 250 kgs capacity. Soft flow dyeing Machine pressure vessel and major wet parts made of stainless steel AISI 316 / 316 L highly corrosion resistance material. Pump & motor are controlled by AC Inverter drive system for maximum efficiency and less energy consumption. U-Type Soft Flow dyeing machine is the new age solution. 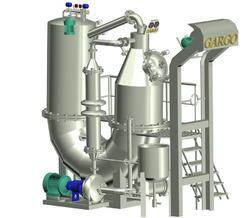 This technology works as soft flow as well as jet dyeing machine. The main advantage of this development is to increase the machine flexibility / versatility, to process all types of fabrics. The main nozzle of U-Type Soft Flow dyeing machine is adjustable by increasing and decreasing the gap of nozzle, flow and pressure increases and decreases as per fabric quality demand. 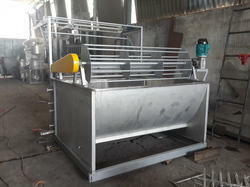 To run this machine as a soft flow machine, increase the gap that decreases the pressure and increases water flow. To run machine as a jet dyeing machine, decrease the gap of nozzle, that increases the pressure and decreases the water flow. Made of high quality stainless steel for long service time. Gentle treatment ensures no damage or pilling on the materials. High efficient driving system. Optional inverter control can be equipped for different materials and loading.